For 150 years, harvesting sea turtles was an essential part of Key West’s culture. The turtling business helped to shape the island’s economy and development, but it was done at an unsustainable cost to sea turtles, especially the Green turtle (Chelonia mydas). In this presentation, the story of the long-running Key West turtling industry will be examined through historical research combined with the archaeological excavation of the Key West Turtle Kraals. 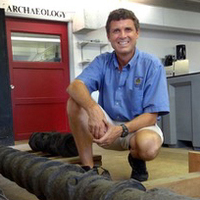 Corey Malcom is the Director of Archaeology for the Mel Fisher Maritime Museum in Key West, Florida, a position he has held for 30 years. Aside from research into turtling, Malcom has participated in some of the most significant shipwreck research projects anywhere, including the 1622 galleon Nuestra Señora de Atocha , the 1700 English slaver Henrietta Marie , the 1564 galleon Santa Clara , and the 1827 pirate-slaver Guerrero , as well as the Key West African Cemetery of 1860. Malcom is a graduate of Indiana and Nova Southeastern Universities, and he received his PhD at the University of Huddersfield, England. Save-a-Turtle of the Florida Keys is dedicated to the education and preservation of sea turtles. 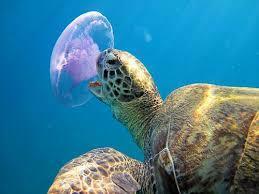 All sea turtles are federally protected and are listed as an endangered species. Learn about the different species, nesting and turtle friendly lighting. Come join us for an evening to celebrate another successful turtle nesting season and our awesome volunteers! And LOTS of Turtle Fun! SAT held a sea turtle painting contest during MOTE Marine's Ocean Fest in April 2018 for children pre-k to 18 yrs old. Marine life artist WYLAND judged the paintings, and the winning masterpieces have been compiled here! 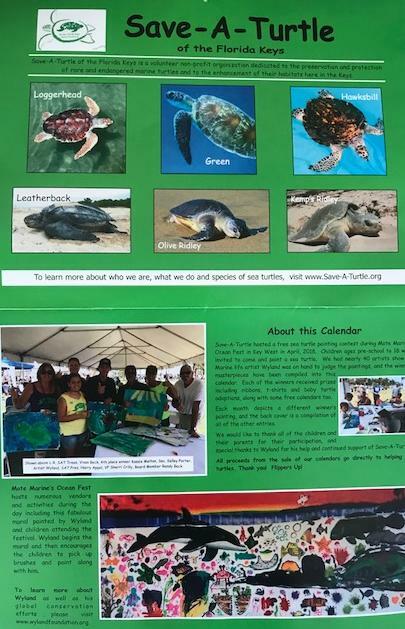 Filled with all of the children's art work, along with lots of sea turtle facts and information, this colorful and informative calendar is sure to please everyone! 8 1/2" x 11", opens to 8 1/2" x 17". 28 pages. 80lb gloss. Designed by SAT members. All proceeds go directly to Save-A-Turtle for the purpose of education, public outreach and nesting supplies for our volunteers. Recently while one of our board members was out at the reef she came across this beautiful Loggerhead Sea Turtle. 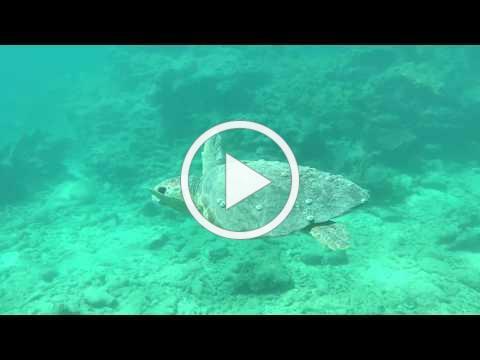 Seeing Sea Turtles in their natural environment is always a delight - Flippers up!! We continue to receive requests from caring citizens on wanting to volunteer to do nesting patrols in the Keys. We do not establish the guidelines for the nesting program, that is all through the State of Florida. Unfortunately for the 2018 nesting season the training concluded in April. However you can prepare to volunteer for the 2019 nesting season by keeping a close eye on our newsletters and social media which is where we will post the training for 2019 as soon as the State of Florida announces the training. The training is always free, but it is mandatory at least every other year. Also, people must be 18 years of age or older. We are always looking for volunteers, and we appreciate everyone who wants to become a surveyor! Don't Forget to renew your annual membership! Membership fees go 100% to the conservation of Sea Turtles. Check out our newly designed website! Warning: the Awww factor on the Videos Page is pretty high!